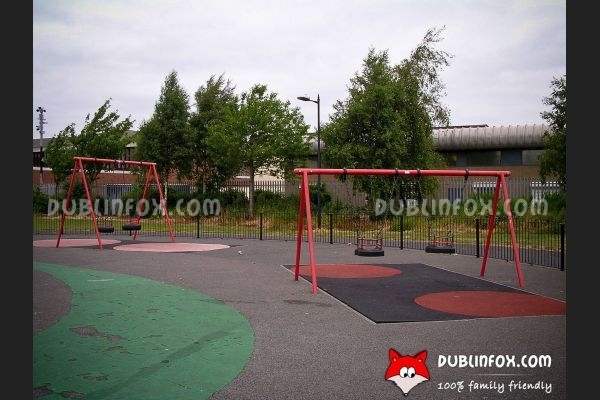 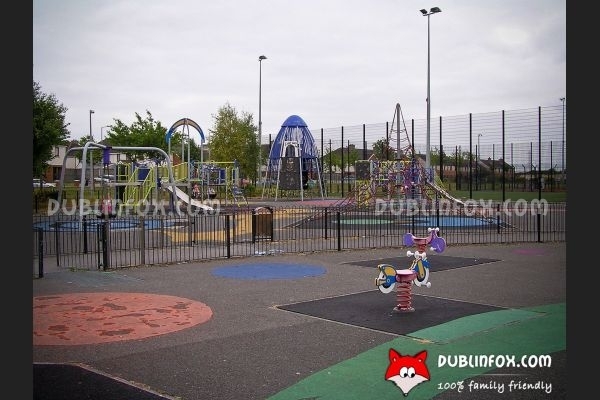 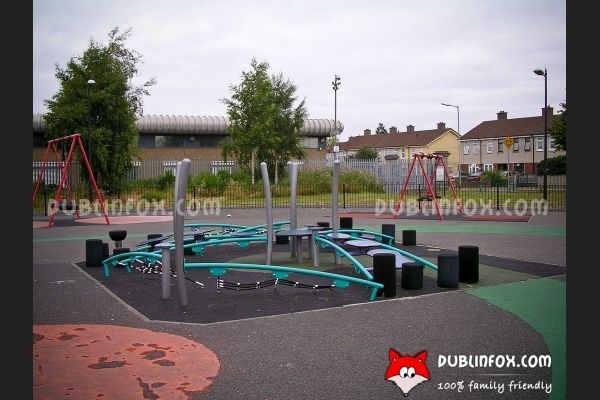 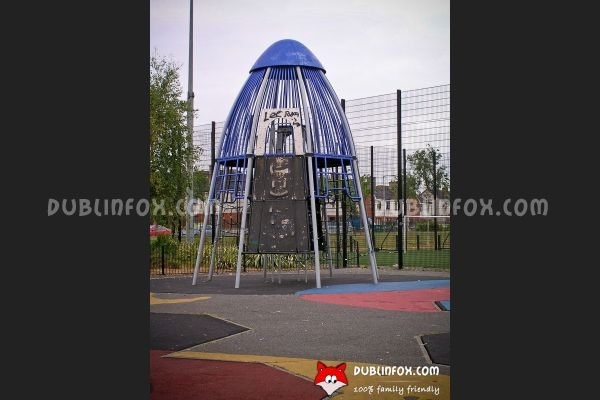 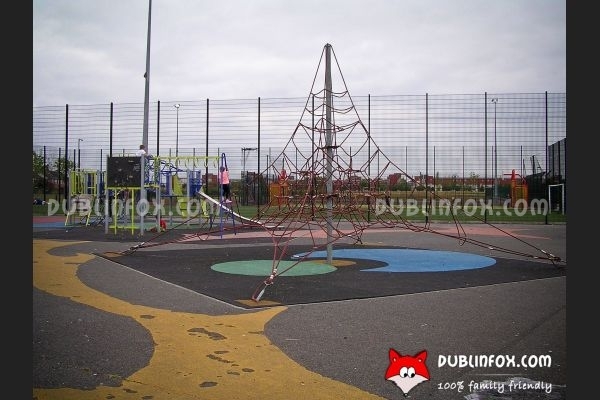 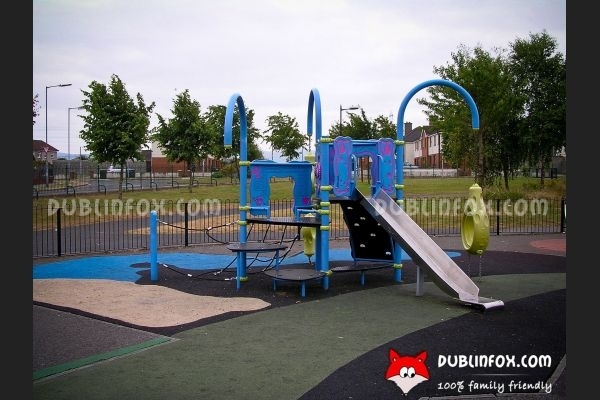 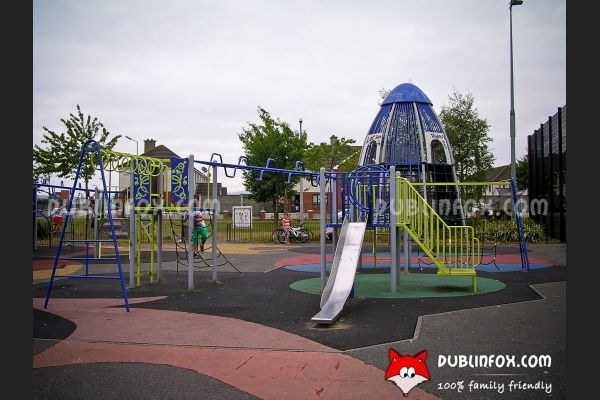 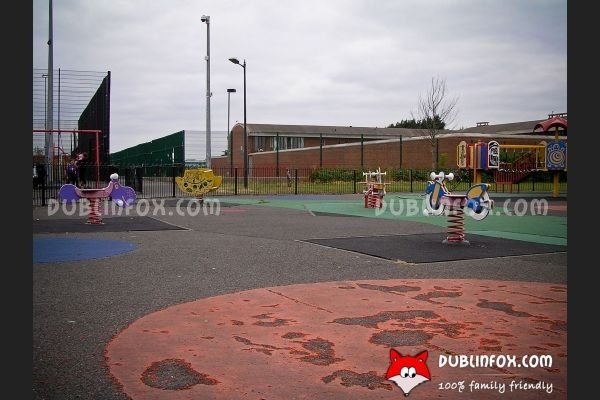 Cherry Orchard playground is a medium-sized playground equipped with a decent amount of playing equipment. 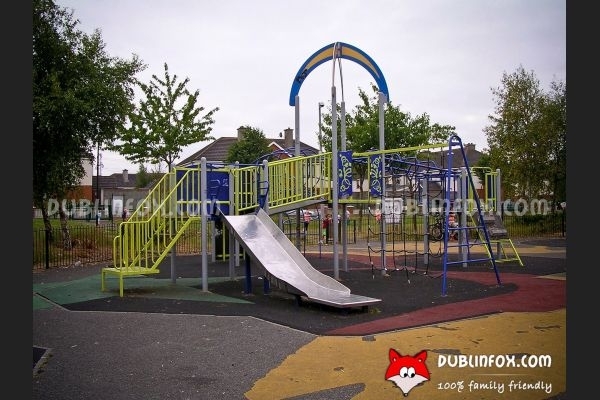 It is divided into two: a toddler and a senior area. 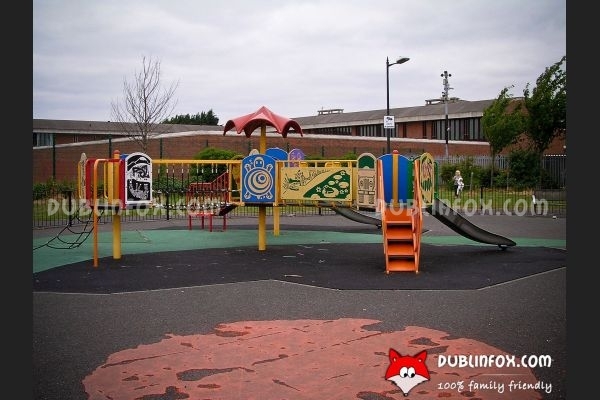 Toddlers can choose from a wide range of activities: there are four swings, two multi-play units, three sprigers, a see-saw and a challenging balancing unit. 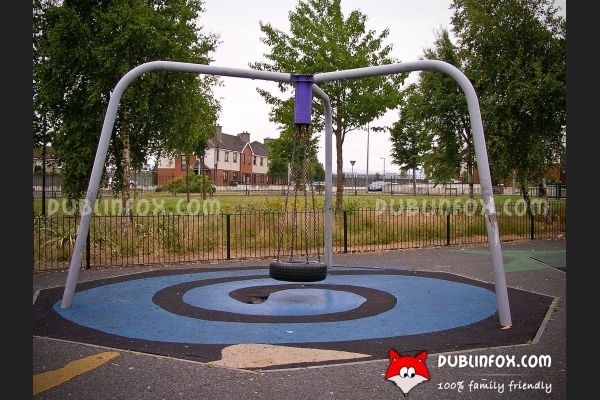 In the senior section there are two multi-play units, two swings (could be more), a spider web climbing net, a one-point swing and a rocket-shaped climbing unit. 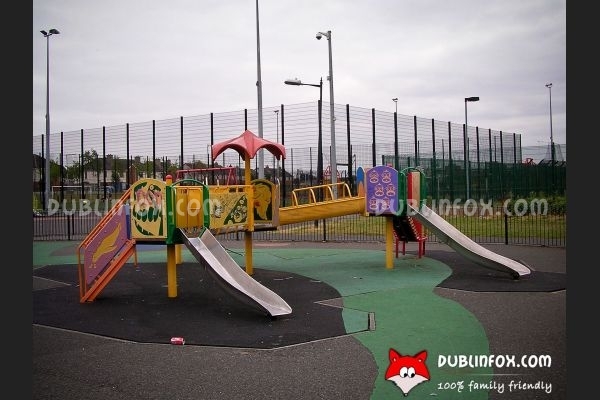 The surroundings of the playground is quite messy unfortunately and the playground itself is not spotlessly clean, either.